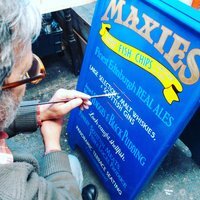 Learn key signwriters' skills derived from learning to paint Roman lettering, which can be applied to a wide range of disciplines and lettering styles. 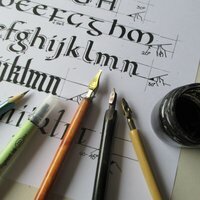 Using the traditional tools of the trade, gain a grasp of layout, letter spacing and brush technique. We will look at Roman letterforms, with a brief overview of their origins, diversity of use and derivatives. The objectives are to be able to form characters and whole words, using the traditional tools of the trade, understanding letter-spacing and layout. By the end of the course you should have a good basic knowledge of brush techniques, a grasp of layout and a heightened awareness of signage in the built environment. 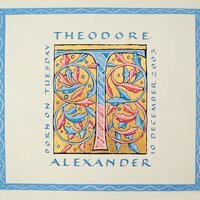 Robin trained in letterpress at the Somerset College of Art, and learnt signwriting from various practitioners. 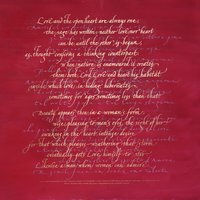 He has given talks and and workshops in Scotland, and belongs to the Heritage Craft Association, Letterheads, and the Baskerville Society.